halo 3? i thought halo 4 was available in palika already? When we asked our readers to give us their opinions of the Warhawk beta, we didn't know we'd receive so many responses. Players had to be invited to participate in the beta, and had to respect an NDA Sony had imposed. To respect the agreement, we won't be doling out specifics of the game. However, certainly Sony can't ask people to avoid expressing their emotions! Click on to read a full overview of the beta, what to expect in the game, quotes from our readers, pros and cons, and some fluff to make it all come together nicely. Read on, happy PS3 Fanboys, and get to know the Warhawk beta from the voices of those that matter most: not critics nor Sony, but by the gamers themselves. Beta versions of games are tricky beasts. While the game may look and play fantastic, there's just something poking at the back of your mind telling you "there's so much more coming." If you do happen to find a fault, remember "it's just a beta," despite complaining about the issue to your friends. Regarding Warhawk with that in mind, one of our contributors said, "There have been occasional freezes in mid-play, necessitating a hard reset of the PS3 which is very annoying, but understandable since we're in beta-land." Pretty much everybody who sent us their impressions of the game had a similar statement wedged in the e-mail somewhere. Games freezing, losing connections, slow connections, server crashes, etc. It is a beta, so do not expect the final version to have poor servers like that. Allowing that for a game played solely online is just plain wacky. 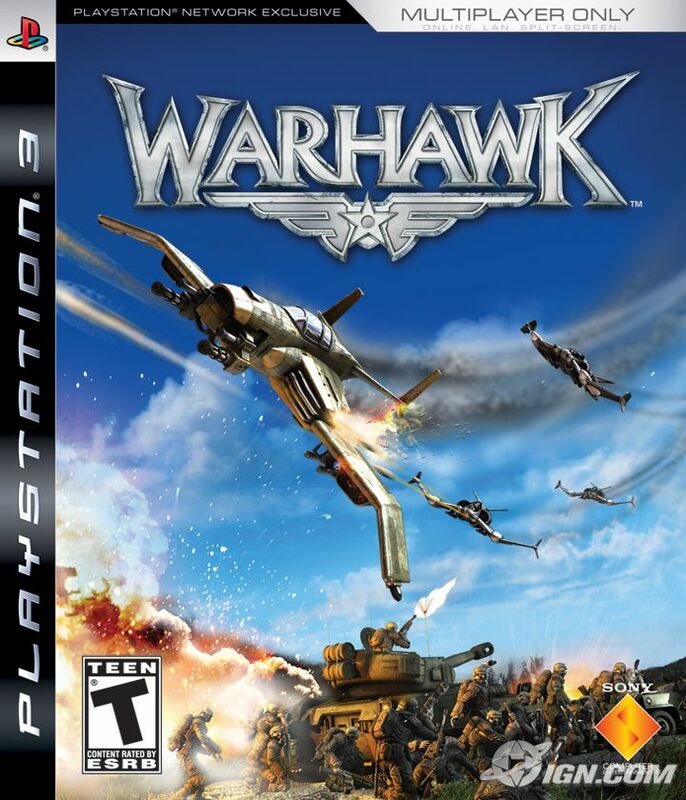 As people explained their experiences with Warhawk, they often likened it to other titles. Comparisons with Halo were uncommon, but came up every once in a while. We're not exactly sure why. Interestingly, one comparison came up a few times. One contributor said "It's like Team Fortress with amazing vehicle support." We had a few other people liken it to Team Fortress, which we can't help but shrug and agree with. It's shaping up to be a winner, and as another person said with a smirk on their face (we imagine) "... I have to admit Sony has found their killer-app for the PS3." But enough about vague comparisons or beta-specific problems. We're sure you want to know what the beta testers liked and didn't like, what was good, what was bad, and what they suggested as changes for the final version of the game. You're in luck, because we want to tell you. * While the learning curve was steep at first, once people got the hang of it, flying the Warhawks around with the Sixaxis grew intuitive and fun. As one contributor pointed out: "There are lots of options to adjust the sensitivity as well as the neutral angle of the controller (so however you hold it normally, you can set that to be "flat". Would have been nice in MotorStorm)." That should have converted the doubtful as many gamers hold the controller at a funky angle as default. Some still didn't like it, but one or two of those people admitted it was because they couldn't figure it out right away. * A lot of people felt the combat was very balanced between vehicle types (including infantry). A few did suggest some tweaking between the Warhawk vs. Warhawk battles, as they felt it odd a couple of well-placed missiles did not down their opponent, but a few sniper rounds from the infantry did the trick. What would you call that? Warhawk vs. Warhawk vs. Infantry balancing? * This next complaint may be due to beta-land. If you were using a headset, we received a lot of complaints about background noise, white noise, or faulty voice chat. We got three suggestions where a "press to talk" button would be really helpful to keep noise out of the headsets. This segues into the suggestions for a customized button layout in the final version. * More differentiation between teams is necessary. We're sure the final version of the game will have many more outfit options as well as color schemes, so we're not too concerned there. * How about graphics, you ask? Well, as one contributor put it: "The draw distance is amazing. Simply stunning. Not once have I seen a shred of pop up and believe me, I've been looking." For a game sporting gigantic maps with a ton of action taking place, that's fantastic to hear. But was what the beta testers saw the final product? Not so, says another tester. "I was lucky enough to jump on a server with one of the developers who did mention that the graphics on this build are not even close to the build they are on." While that may be developer-speak to keep people anxious for the "real thing", we hope that's true. This game is shaping up to be fantastic and that would just be icing on a sweet, sweet cake. * The layout of the menus is simple and creating a server is very easy. The interface is friendly and everyone holds hands and sings. Basically, everybody had the same idea when mentioning this part of the game: it's a very easy-to-use, simple interface and that's great. * To get to the gigantic 32 on 32 matches (yeah, that's as big as it sounds), you had to get invited onto a dedicated server or something. One of our contributors frequented these matches and said it was unlike anything else ever experienced in an online match. We can't even imagine the frantic action taking place on a giant map with multiple vehicles, let alone a total of 64 players. It makes us want to play right now with all our friends at PS3 Fanboy! There you have it, guys. Your Warhawk experiences. We kept the contributors anonymous so they don't get paranoid about Sony knocking on their door asking for their PS3 back. We also kept the details of the game we were given (weapon types, map types, other details) to ourselves, so Sony doesn't knock on our door and ask for our PS3s back. All in all, what we got in our inboxes reflected what we wanted to hear from you guys: Warhawk is great and will prove to doubters that the PlayStation 3 really does have what it takes to kick some serious tail. We can't wait until the game is released in a few months. Thanks to everyone who contributed! Ok can u plz check out xbox 720 and ps4 for me? wow nice boxart...i'll def pick it up with the blue-tooth headset! Lead reviewer (and former OPM editor) Joe Rybicki actually placed a note in his review to EGM Reviews Editor Greg Ford that his score should be dropped a whole point if the price was announced above $30"
Did 1UP / EGM ever think of reviewing the retail version of Warhawk, you know, the one that already has the price set and comes with a headset? On a related note: 1UP Editor Che Chou gave the Xbox game 'Steel Battalion', a perfect 10 -- a game which came with its own controller and retailed for a hefty $200. guess WarHawk will be docked 1 point by EGM! !